Tunisair is the latest carrier to abandon the A350-800, bringing the backlog for the type to fewer than 90 aircraft. The flag-carrier had ordered 3 of the type in July 2008, along with three A330s and 10 A320s. Airbus's order figures to the end of May no longer list the Tunisair A350s. While several A350-800 customers have converted to larger variants of the A350, the Airbus data indicates that the airline has cancelled outright. Although this cancellation takes the -800's backlog down to 89 aircraft, Airbus insists that the variant will remain part of the A350 family. Tunisair has yet to confirm its apparent decision and clarify its reasons. 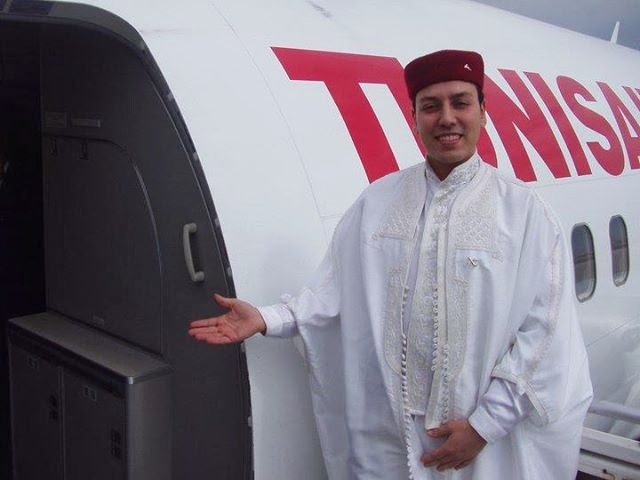 Several aerospace firms have established operations in Tunisia and, despite the country's political unrest sparking sweeping revolutions in other Arab states in 2011, it escaped relatively unscathed. Airbus EVP for programmes Tom Williams noted, during a briefing in Toulouse on 5/June, that Airbus had encountered problems with suppliers which were trying to source components from Tunisia. He said that, in some cases, Airbus had to take "extraordinary actions" to avoid disturbance in its production line, and "repatriate" components back into Europe. 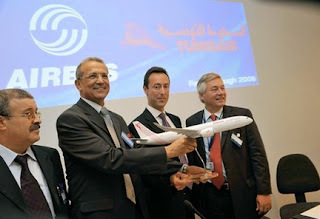 In 2008, Airbus CEO Gallois declared: ”Airbus will take over Latecoere's proposal to set up in Tunisia to make ordinary parts and invest in more sophisticated production in France, especially for composites.” That was a decision linked to the “Dubbed Power8 Plus”, the new plan that came on top of the earlier Power8 restructuring plan which called for 2.1billion euro of recurring savings between 2007 and 2010, including a plan for 10,000 job cuts.